Your organization is, or will be successful, in part, because of the suppliers you align yourself with. When you have vendors you can rely on time and time again, it builds your confidence and it builds your reputation. When they deliver, you deliver. That has always been our philosophy at Tri-State Business Systems. 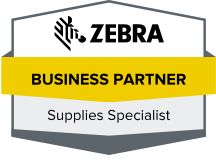 We knew that if we could provide quality barcode equipment and supplies consistently, it would help our clients grow. As they grew, so would we. That is exactly how Tri-State Business Systems has grown from a regional barcode supply company to a national supplier counted on by start-ups and Fortune 500 companies alike. Our customers know that we can deliver what they need when they need it. They also understand we carry the quality of products they need to run their organizations efficiently. We work with schools, medical supply and pharmaceutical companies, manufacturers and retailers. We have had the pleasure of helping them improve inventory control and their bottom line. We have demonstrated how barcoding can minimize losses and make everyone more accountable. Let us have the pleasure of showing you how barcoding can improve your operations. Tri-State Business Systems today and let’s move your organization forward.